Travellers can book their next luxury, all-inclusive vacation at select participating AMResorts and receive discounted rates and resort coupons when they take advantage of the 5th Room Free Groups promotion. Full terms and conditions, participating resorts, and blackout dates available on the brand websites Dreams, Secrets, Breathless, Zoëtry Wellness & Spa Resorts, Now, Reflect and Sunscape Resorts and Spas. 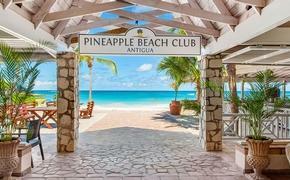 AMResorts’ destinations offer Endless Privileges®, Unlimited-Luxury® and Unlimited-Fun® with access to beautiful beaches, world-class spas, limitless gourmet a la carte dining, unlimited premium drinks, and more.